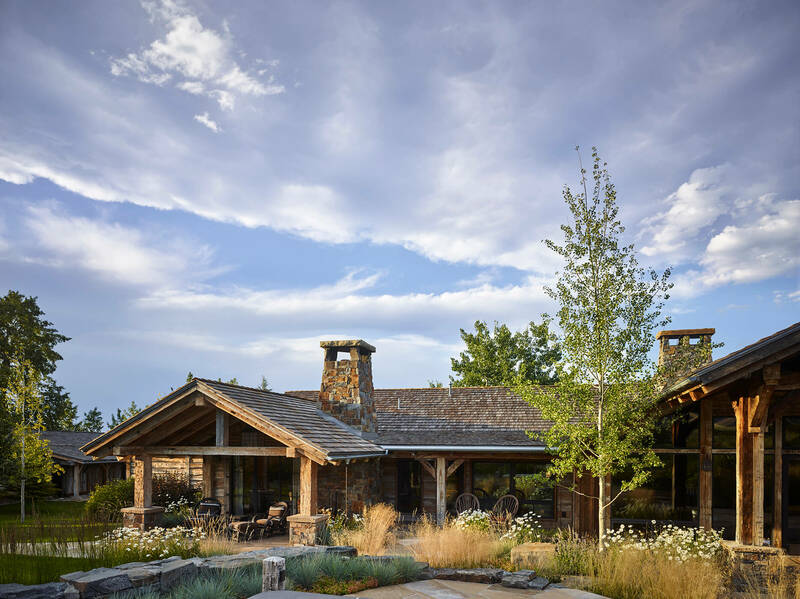 Multiple structures on this Montana ranch compound are situated and designed to create a distinct bond with the western ranch aesthetic. The main ranch compound consists of a lodge, main house and fishing cabin and a barn, situated and designed to create a distinct bond not only with the western ranch aesthetic but the trout stream that runs within casting distance as well. This 7000 square foot lodge offers everything a group or family could need on a Montana getaway and successfully balances open spaces geared for socializing with the ability to close things off for privacy.